When I first read the synopsis for this book I really like the idea of Peter Pan type world. I guess that's what really pulled me in.One thing I like about this was that the story was interwoven with the modern world which made it more realistic and put a different spin the fairy-tale. The start of the story Livy is very focused on her sisters death and it kind of consumes her to the point where its taken over her life. Then in comes Meyer who is adventurous and daring, he helps Livy heal. I found that the start of the novel was quite hard to actually get into because I felt as though the writing but it definitely got better as the story continued. I can't say that I fully enjoyed it because I didn't. The first half just felt a bit repetitive and it dragged on a bit but once Never land was introduced I started to enjoy it. 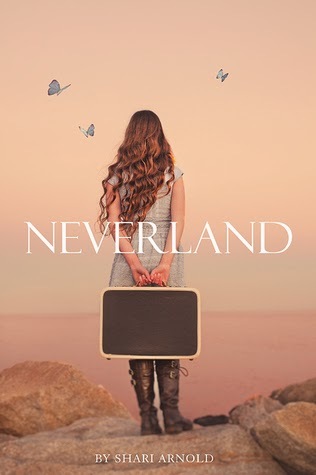 Overall: For the most part of the novel I enjoyed it and I think that any peter pan fans out there would enjoy this retelling of an original tale.